The Roldarka is unusual in that it’s a single chine Baidarka vs the multi-chines normally found in this type kayak. It’s designed for rolling, exercise, and day paddling. The kayak can be built with either a bifid or non-bifid bow. 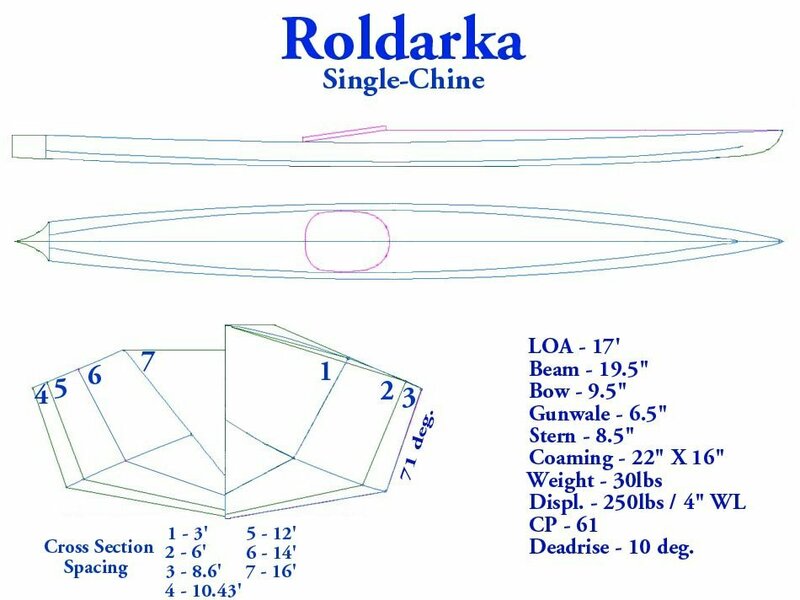 Roldarka’s can be either wood non-folders or aluminum / HDPE folders.